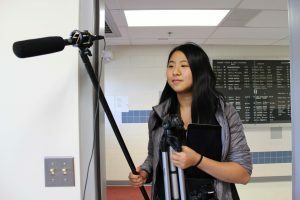 Christine Zhao of Thomas Jefferson High School for Science and Technology in Alexandria, Virginia, was named the 2018 National High School Journalist of the Year. Winners of the National High School Journalist of the Year/Sister Rita Jeanne Abicht Scholarships also were announced. 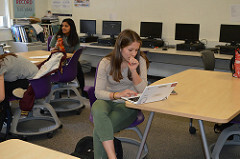 During the past school year, hundreds of high school journalists throughout the country worked hours to complete their portfolios for state Journalist of the Year contests, and the 36 state winners who entered the national competition were recognized April 12 at the opening ceremony of the JEA/NSPA Spring National High School Journalism Convention in San Francisco. The winner and six runners-up were recognized April 14 at the closing awards ceremony. 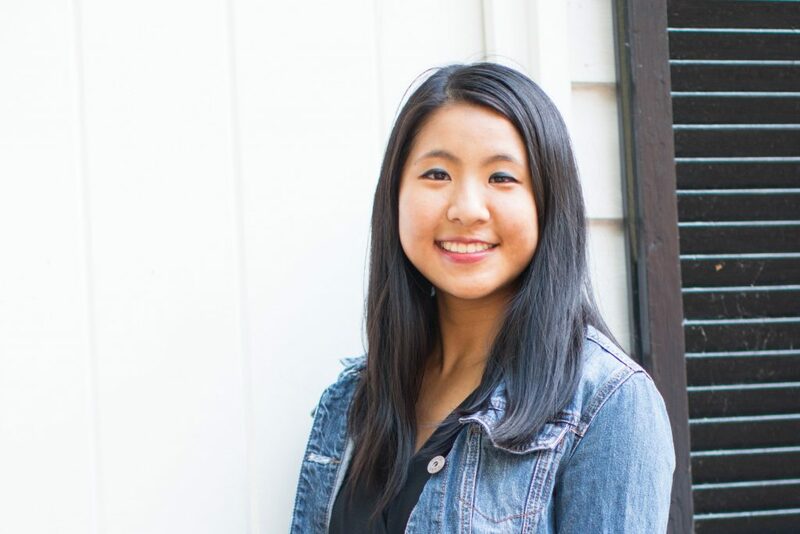 When the final results were announced, Christine Zhao of Thomas Jefferson High School for Science and Technology in Alexandria, Virginia, was named the 2018 National High School Journalist of the Year. Zhao will receive a $3,000 Sister Rita Jeanne Abicht Scholarship as part of her recognition from the Journalism Education Association. Haley Keizur, Puyallup (Washington) High School (Sandra Coyer, MJE, adviser). Kobe Roseman, St. Mark’s School of Texas, Dallas (Ray Westbrook, adviser). Natalie White, Downers Grove (Illinois) North High School (Elizabeth Levin, MJE, adviser). Ian Ong, Conestoga High School, Berwyn, Pennsylvania (Susan Gregory, MJE and Cyndi Crothers-Hyatt, CJE, advisers). Arabella Saunders, First Flight High School, Kill Devil Hills, North Carolina (Steve Hanf, adviser). Sarah Elbeshbishi, Watkins Mill High School, Gaithersburg, Maryland (Sara Confino, adviser). Named in honor of JEA’s longtime treasurer, the late Sister Rita Jeanne Abicht, FSPA, the scholarships recognize some of the top high school journalists in the country. 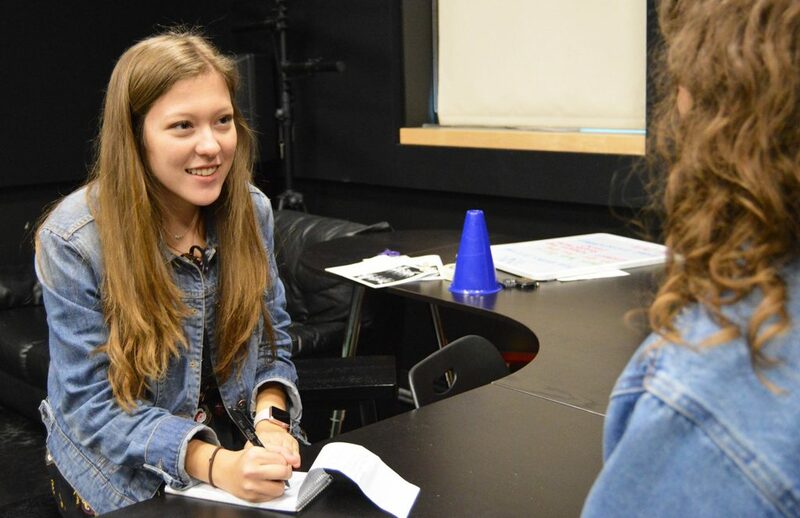 Portfolios are judged in the month leading up to the JEA/NSPA spring national convention, and scholarships are given in honor of their work on scholastic media. The national applications this year were submitted digitally. The competition attracted dozens of entries in some states and none in others. The 37 members of the scholarship committee were impressed with the depth of experience contained in the state-winning entries. CHRISTINE ZHAO, Virginia, 2018 National High School Journalist of the Year – Carrying a tjTV gear to record sound clips and B-roll, senior Christine Zhao walks into the security room to interview security employee Charles Phillips. He is one of many people Zhao is highlighting for an online series on the stories of African-American students and staff. During most lunches, peers will find her carrying her iPad, as she does in this picture, racing to her next conversation with the girl eating lunch in the hallway or the principal in her conference room. Christine Zhao has been a member of her high school journalism program for three years, most recently as editor-in-chief of investigations for “tjTODAY,” her school’s online and print newspaper. Zhao’s former principal, Evan Glaser, noted in a letter of recommendation how amazing it is that Zhao brought such a level of humanities into her work in an environment where humanities isn’t the main focus. Her adviser, Erinn Harris, CJE, described her not as fierce, but as FIERCE, to characterize her passion for the pursuit of truth. Zhao persevered after writing a piece about a controversial summer science program that usually produces winners of a prestigious national science competition. Instead of being discouraged from cautious administration, angry faculty members and online trolls, it drove her to seek more truth. She sought other stories like an investigation of sexual harassment and assault accusations of fellow students. Haley Keizur interviews a source for a brief called “Humans of Puyallup” to run in Puyallup High School’s Viking Vanguard. Haley Keizur of Washington knows her voice, her staff and how to use both to maximize success and potential. Keizur’s portfolio was full of writing experience as her first passion, but showed her diversity in all aspects of journalism. 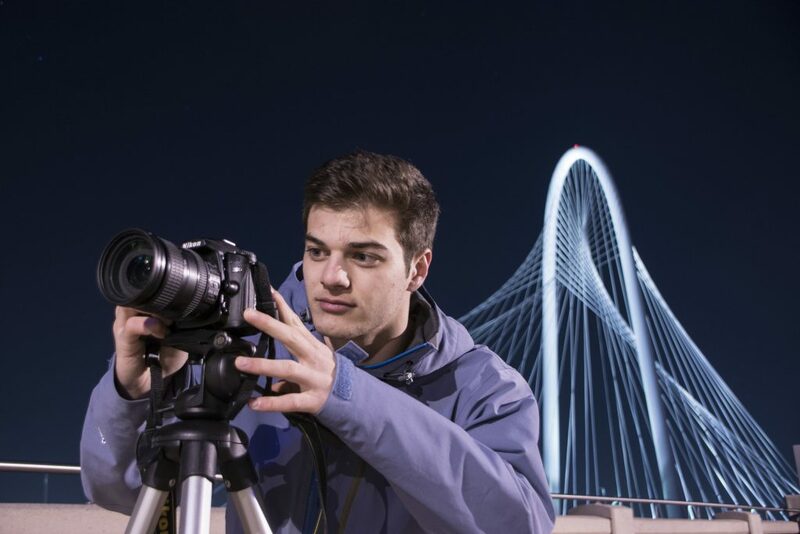 In front of Dallas’s iconic Margaret Hunt Hill Bridge, Kobe Roseman sets up a nighttime time lapse of his city’s skyline for a personal project. Kobe Roseman of Texas takes initiative on his own reporting by going outside the walls of his school, looking for professional/expert sources to do research necessary to tell compelling and deep stories. He puts himself in situations where he gets to report about real people and real situations. Natalie White edits the front-page story at deadline for the April Issue. 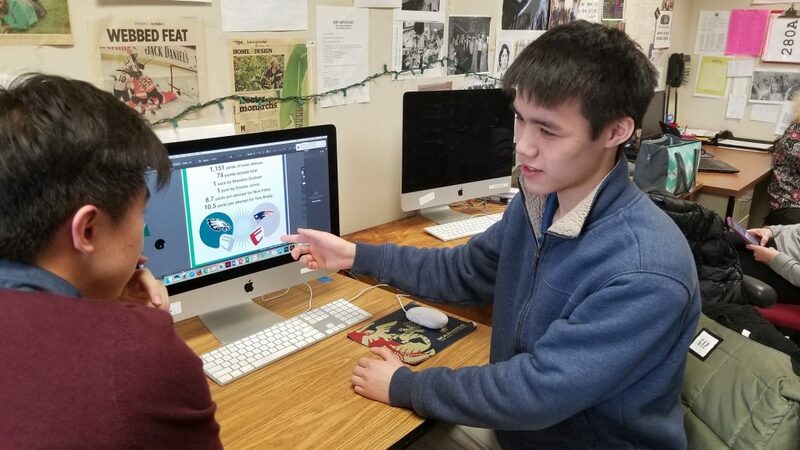 Managing Editor Ian Ong explains the design choices behind a graphic to Co-editor-in-chief Eric Xue. The graphic would be published in the February 2018 issue of Conestoga High School’s newspaper, The Spoke. Ian Ong of Pennsylvania had judges wishing he was on their staff. He inspired one of them with his editing exercise that she plans to use on her own staff applicants in the near future. 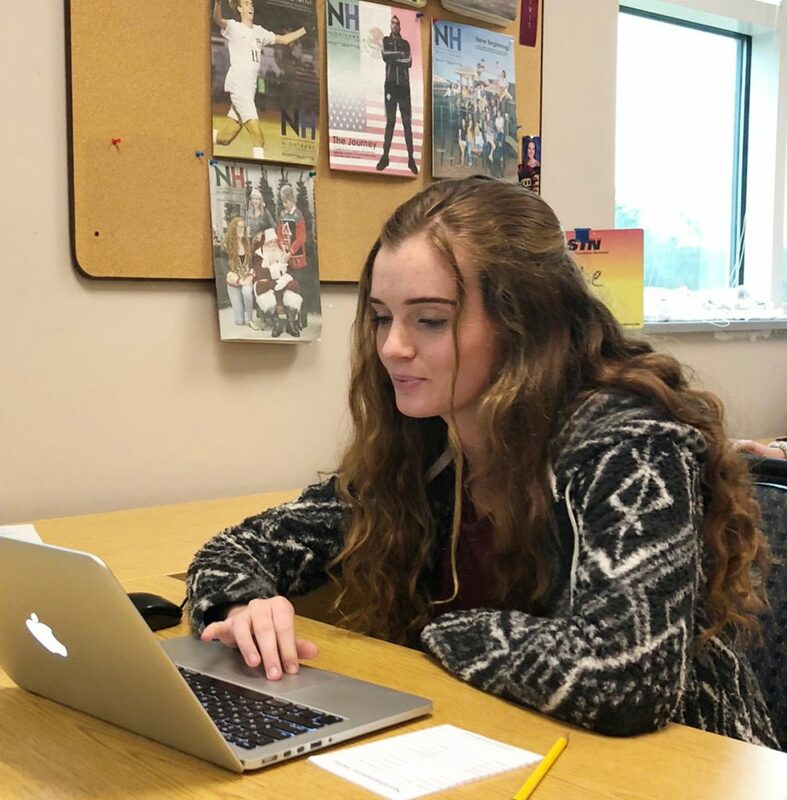 Senior Arabella Saunders works on an infographic for Nighthawk News’ Mental Health Edition with other issues of the paper displayed behind her in the newspaper room at First Flight High School. her passion for journalism leaped off the page. She is not afraid to cover controversial and timely stories in her effort to give voice to the voiceless. One judge commented about a story Saunders did on DACA and how the program’s departure could impact students in her community. 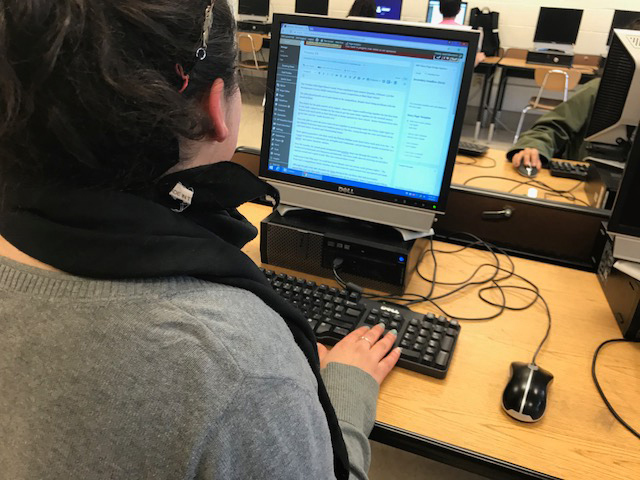 Sarah Elbeshbishi edits articles for the Watkins Mill Current. Sarah Elbeshbishi of Maryland uses data journalism to adjust her goals, and it comes naturally to her. She also is a natural at leading her school’s newspaper staff.